FRANKFURT -- Continental's supervisory board is moving ahead with plans for an initial public offering of its powertrain unit and a new corporate structure by early July, a sign the supplier’s biggest overhaul in decades is taking shape, according to people familiar with the matter. An alternative -- proposed by the billionaire Schaeffler family, Continental's largest shareholder -- would have spun off the business to current investors, but that's no longer being considered, according to the people. Continental will discuss the results of an ongoing review of its operational structure with relevant stakeholders after completing the analysis by mid-2018, a company spokesman said by email. He declined to elaborate on the state of negotiations. A spokesman for Schaeffler declined to comment. Continental's powertrain unit generated 7.7 billion euros ($8.9 billion) in sales last year and employed more than 40,000 people. Brokering a deal would mark an achievement for Chairman Wolfgang Reitzle, 69, who's separately arranging a merger for industrial-gas maker Linde, where he also leads the supervisory board. He was brought in to Continental in 2009 after an aggressive stake purchase by the Schaefflers triggered departures of top management. 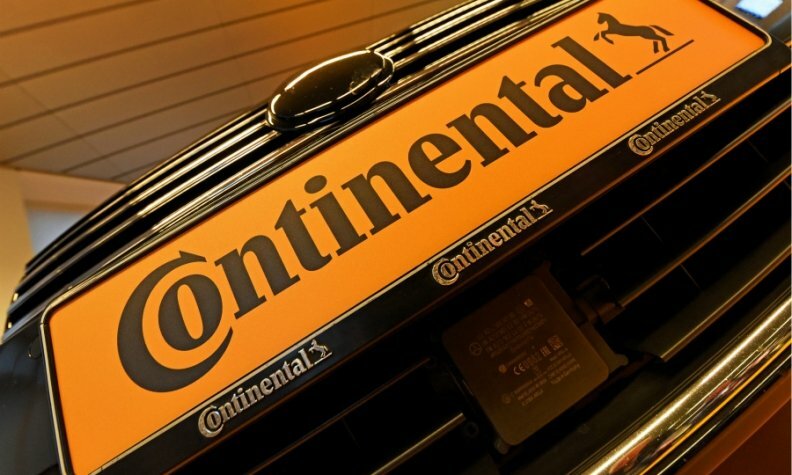 Continental, the world's second-largest supplier, has been looking at whether to change its corporate structure since late last year. CEO Elmar Degenhart outlined a potential project in April to separate a portion of the business that makes engines and transmissions to give it "more free space." The powertrain division needs to be especially flexible as more than half of its revenue is affected by the auto industry's looming shift toward EVs, he said. "Conti's possible de-merger remains critical to the story," Max Warburton, an analyst for Sanford C. Bernstein analyst, said in a recent note to clients. The new structure "is still not clear." The family holding in Continental is controlled by Maria Elisabeth Schaeffler, 76, and her son Georg Schaeffler, 53, who own industrial-bearings manufacturer Schaeffler AG. While Reitzle and Degenhart have advocated for an IPO for the powertrain operation, the spin-off option initially favored by the Schaefflers would have given the clan the ability to generate funds from selling stock in the unit once it's listed while keeping their Continental stake at 46 percent. The Schaeffler family's strategy at Continental is being closely watched, especially the role of Maria Elisabeth, the widow of Schaeffle's co-founder. Advisory firm Institutional Shareholder Services in April criticized her failure to attend at least 75 percent of Continental's supervisory board meetings last year. She also didn't show up at the April annual meeting, where other investors demanded more clarity on the reorganization plans. The main representative of the Schaeffler family in talks about Continental's future structure is Georg, a U.S.-based lawyer.